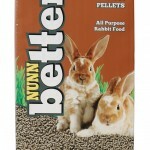 Nunn-Better makes a wide variety of foods for outdoor birds and small animals. Backyard birds have been singing the praises of Nunn-Better for years! We offer several different blends of bird feed, suet cakes and many items formulated for small outdoor animals you might find in your backyard. Nunn-Better offers the finest ingredients in each of our products. Each specific bird food blend is carefully mixed to offer a combination that attracts birds and provides important nutrients. 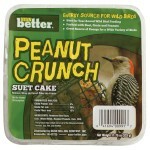 Birds and wildlife bring beauty, music and life to your yard and Nunn-Better is committed to helping you appreciate nature by offering quality products for your bird feeders. Take a look at what we offer and get some today. Birds and small animals will remember where they had a superb meal and they will return to the same spot for more!